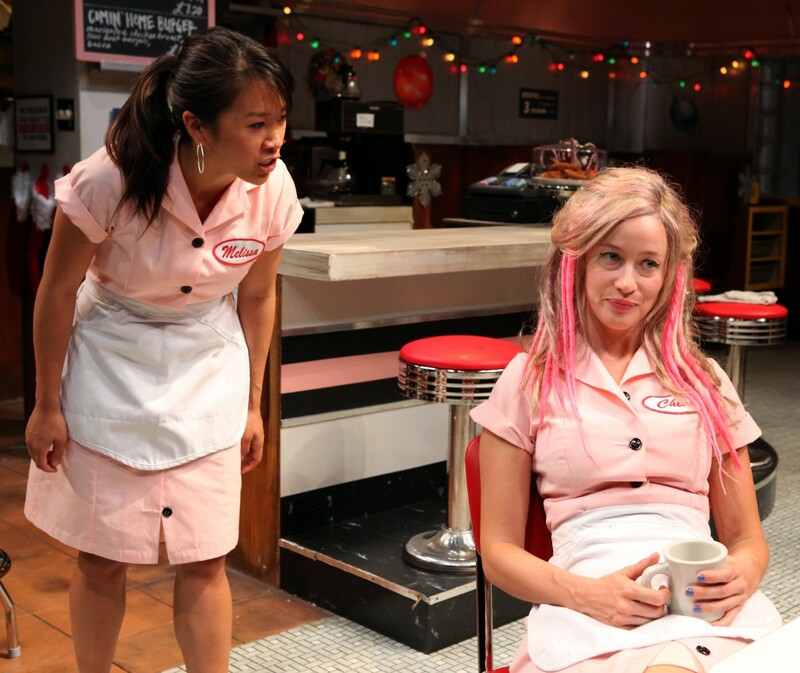 Jessi Campbell (a familiar face to Magic audiences) chatted with us about Sam Shepard and her start in the theatre. And I and Silence, Naomi Wallace (Magic 2014). Dir. Loretta Greco. Jessi Campbell (Dee) and Tristan Cunningham (Jamie). Photo: Jennifer Reiley. A Lie of the Mind, Sam Shepard (Magic 2015). Dir. Loretta Greco. Juan Amador (Frankie), Jessi Campbell (Beth), and Robert Parsons (Baylor). Photo: Jennifer Reiley. Have you been in other Sam Shepard plays? A Lie of the Mind at Magic. What other shows have you done at Magic? And I And Silence. Sister Play. Fred's Diner. What does Sam Shepard mean to you? Sam is my favorite. I auditioned for college with Cowboy Mouth. Fred’s Diner, Penelope Skinner (Magic 2015). Dir. Loretta Greco. Katharine Chin (Melissa) and Jessi Campbell (Chloe). Photo: Jennifer Reiley. How do you think Fool for Love resonates today as compared to 1983 when it premiered at Magic? This play is timeless. The world is still full of broken men and broken-hearted women. Sister Play, John Kolvenbach (Magic 2015). Dir. John Kolvenbach. Patrick Kelley Jones (Man), Jessi Campbell (Lilly), and Lisa Brescia (Anna). Photo: Jennifer Reiley. How did you get into acting, what was your first gig? Loretta cast me in my first professional play a hundred years ago in New York [Inky, by Rinne Groff]. I had no idea what I was doing, and I was scared to death. (And still am.) She took me under her wing. (And still does.) I am eternally grateful for this woman. Blackbird, David Harrower (A.C.T. 2007). Dir. Loretta Greco. Jessi Campbell (Una), Steven Culp (Ray). Photo: Mike Kane.